Last Sunday at Camas Friends Church, after the meeting for worship, Judy Maurer led a threshing meeting on the question, "What is God calling us to do?" For context, see this issue of the Sierra-Cascades Yearly Meeting of Friends newsletter. At this threshing meeting, we were previewing an exercise we'll be doing together at our quarterly gathering later this month. We need to learn how to teach and reach out in this world in a way that is constructive, not neglecting but re-imagining evangelism. How can we be extravagantly hospitable? There's Got to Be a Better Method than Hit-and-Run Evangelism. ... and A Leading Cause of Atheism? Not Allowing Dialogue and Disagreements. Response to "The Statement on Social Justice and the Gospel" (long, but the diagnosis is worth it). As we dream about our new yearly meeting and the fresh start it offers our little corner of the Quaker movement, I could imagine making lists of the values and testimonies that we want to advance (peace and nonviolence, simplicity and sustainable living, equality, church governance based on praying and discerning together, biblical literacy without legalism -- my own unofficial list). I could also imagine another list: the wider organizations we might want to join based on these values and testimonies. I'm glad to report that we didn't just start making lists. Instead, we gathered in small groups to review the themes in that bulletin -- what we valued in our new association, what we already know how to do (and what we need to learn! ), the things we cherished from previous associations ... and (my emphasis) who needs those things that we can do? I was grateful that the "who" question was there -- testifying that we are not centered on ourselves, dutifully inventorying our Quaker markers. For me, evangelism (paying urgent attention to the "who") puts all those other testimonies in perspective. All those testimonies are "signs and wonders," qualities of the Light by which we as the Body of Christ participate in making Jesus visible. "Light" is an old Quaker metaphor for God. 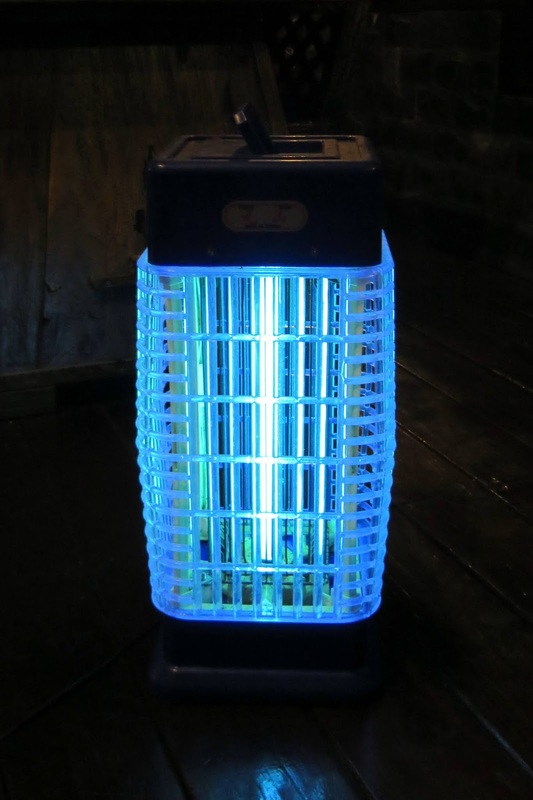 When I read stories of disillusionment with Christians, it reminds me of those old electric bug zappers I first saw in Maine years ago. The bug zapper's light attracts unwanted insects who are electrocuted by the high-tension wire mesh surrounding the light. I hated the crackling sound made by the bugs hitting the screen. That's sort of what hidden screens do to the faith of unwary idealists as they near the light. That's not genuine evangelism, that's malpractice. Evangelism with integrity involves at least two features that should help us avoid the cycle of baiting and disillusionment that the articles I linked above, and others like them, so often reflect. First: evangelism is not just a winsome expression of faith based on actual experience, it is also an invitation to test the message in context -- that is, in a community formed by that faith. Many of us in Sierra-Cascades Yearly Meeting of Friends, because of our history, have built-in skepticism about formulaic religion and compulsory language. If the things we say about our faith, and about our path to that faith, manage to attract someone to visit us, we hope that they will find that there is more actual Jesus than words-about-Jesus, than things-you-must-say-correctly-about-Jesus. Also, they might find people among us who haven't made up their minds yet, but somehow know that we would not be the same if it weren't for this beloved Teacher and Savior. A second, related point: With an unanxious Christ-centered identity giving light to our community, we don't feel the need for hidden screens. We're trying to build a radical hospitality for everyone who is ready to learn with us, or is simply curious about, what life with Jesus at the center looks like. We don't have secret snares that say "oops, we didn't mean YOU!" We do have boundaries, but we are learning to be open and honest about them. We're not about to play fast and loose with what Quakers have been learning about God and Jesus and the Bible for over three and a half centuries. And, who knows, we may not have all the dilemmas perfectly calibrated in being a host with a teaching voice while at the same time offering extravagant hospitality, but we are united in eliminating any high-tension hidden screens. It's my hope and prayer that we will not let any such screens get in the way of the Light -- that very Light that attracted us in the first place. Confronting abuse in the church: Jonathan Trotter's Three Spheres of Offense. Adria Gulizia: worshiping a suffering Savior. Russian authorities "can't operate with common sense concepts" when dealing with Jehovah's Witnesses. Here's a byline Bobby Ross is glad to see again: Sarah Pulliam Bailey, covering religion for the Washington Post. I saw Billy Boy Arnold live for the first time when he visited Eugene, Oregon, last year at age 82, as part of the 2018 edition of Mark Hummel's Blues Harmonica Blowout. Amazing!